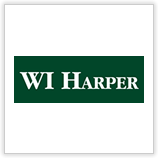 Founded in 1993, WI Harper Group is one of the founding venture capital franchises in Greater China. The firm invests in early and expansion stage companies with significant operations in China and aspirations to become global leaders. We are an active partner with a track record of over 100 investments in the technology, clean technology and health care sectors. The firm manages over $500 million in committed capital from our offices in Beijing, Taipei and San Francisco.